WHEN: Sunday, April 7, noon to 5 p.m. ADMISSION: $40 for NJJS members, $45 for non-members; tickets at the door are $45 for members, $50 for non-members. There will be a cash bar and buffet and CDs for sale. Tickets may be ordered online at www.njjs.org; or by phone at 800-838-3006/Opt. 1. Fifty years ago, Pluckemin, NJ, resident Jack Stine had an idea. 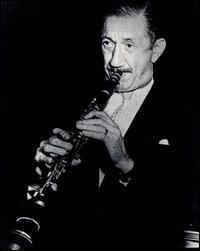 One of his favorite musical performers, jazz clarinetist Pee Wee Russell, had died, and Stine wanted to honor him with a memorial concert. The first Pee Wee Russell Memorial Stomp was created, and two years later, Stine founded the New Jersey Jazz Society. Stine, who died last June at the age of 96, combined the first concert with a fundraiser and raised more than $3,000 for a scholarship in Russell’s name at Rutgers University. Now, the event raises money for scholarships at Montclair State University, New Jersey City University, Rowan University and William Paterson University, in addition to Rutgers. His legacy will be celebrated at this year’s Stomp with music by Andy Farber and his Orchestra featuring special guests, vocalist Catherine Russell, multi-reedist Adrian Cunningham and trumpeter Warren Vache. 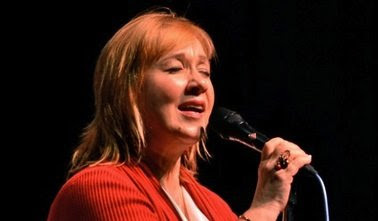 Vocalist Roseanna Vitro, a resident of Warren, NJ, will be presented with this year’s Distinguished Musician Award, and jazz radio station WBGO 88.3FM will be honored as this year’s Jazz Advocate. And, as is the tradition, dancing is welcome and encouraged, spurred by a group of vintage-clad dancers who annually grace the Pee Wee stage. A new feature of this year’s Stomp will be performances by the New Jersey Youth Symphony’s Jazz Orchestra conducted by Roselle Park alto saxophonist Julius Tolentino, who is director of the jazz program at Newark Academy in Livingston; and by players from the Montclair-based Jazz House Kids, led by saxophonist Mike Lee, professor of jazz saxophone at The John J. Cali School of Music at Montclair State University. Lee, who helped found the JHK in-house jazz education program, just released a new CD, Song For All of Us, on the IYOUWE record label. At one point during the afternoon, NJJS education adviser Don Braden, Cunningham, and Tolentino will join Farber in a "Battle of the Saxes". 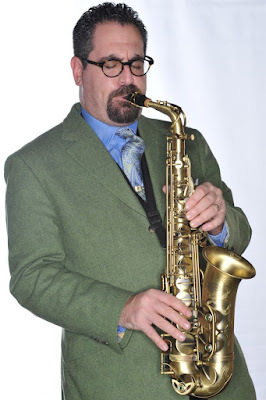 Saxophonist Andy Farber studied jazz composition at the Manhattan School of Music, played and wrote arrangements for legendary vocalist Jon Hendricks in the ‘90s, led the orchestra for the Broadway musical revue, After Midnight, and directed the band that backed Tony Bennett and Lady Gaga for the PBS special Cheek to Cheek Live.He has appeared at such venues as Dizzy’s Club Coca-Cola and the Jazz Standard in New York as well as the New Jersey Performing Arts Center in Newark. Catherine Russell (no relation to Pee Wee) is a jazz superstar. In 2012, she won a Grammy Award for her appearance as a featured artist on the soundtrack album for the HBO TV series Boardwalk Empire. 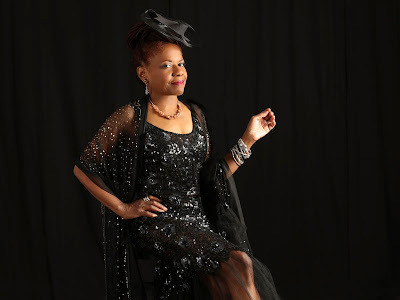 Her 2014 Jazz Village album, Bring It Back, received a five-star review from Down Beat Magazine, and her 2016 JV album, Harlem on My Mind, was nominated for a Grammy for Best Jazz Vocal Album. When Russell released her debut album, Cat on the World Village label in 2006, the late jazz critic Nat Hentoff wrote: "After listening to a continuous stream of singers who couldn't have lasted through a chorus with Ella Fitzgerald or Betty Carter, it's a delight to hear the real thing in Catherine Russell." Her newest album, Alone Together, was released this month on the Dot Records label. New York Music Daily, pointing out that, "Russell has made a bunch of good records over the years," added that, "This might be the best of them all." 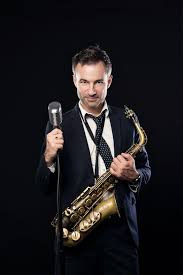 Since relocating to New York City from his native Australia in 2008, multi-reedist Adrian Cunningham has performed at some of the city’s leading jazz clubs including Birdland, the Blue Note, and Dizzy’s Club Coca-Cola. 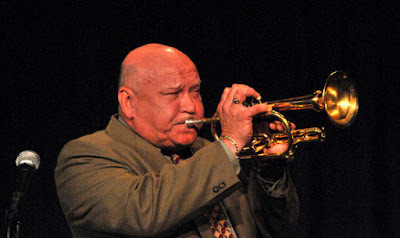 And, he has played with some of New York’s leading jazz musicians: trumpeter Wynton Marsalis, trombonist Wycliffe Gordon, and pianist Ted Rosenthal, to name a few. Hot House Magazine has called him “indispensable to New York’s jazz scene,” and All About Jazz described him as “a young artist who plays as if he has been playing for over a century.” Both Cunningham and Vache record on Arbors Records. WBGO 88.3FM played its first jazz record in April 1979. Forty years later, it is stronger than ever, reaching more than 400,000 on the radio in the New York/New Jersey metro area and thousands more across the country and around the world on wbgo.org. The station began as the brainchild of Robert G. Ottenhoff, who, in the 1970s, worked in the Office of Newark Studies, an organization committed to reviving Newark in the wake of the 1967 riots. He and other members of an urban think tank persuaded the Newark Public School System board to transfer its underutilized broadcast license to them. Ottenhoff was WBGO's first general manager. Amy Niles, appointed in 2014, is the station's fourth GM. She plans to be at the Hyatt Regency on April 7 to accept the Jazz Advocate award, In an email to NJJS president Cydney Halpin, Niles said, "I know how much it means to our entire staff to be recognized by your organization. I look forward to this great occasion." Last year's Jazz Advocate award-winner, jazz author and critic Will Friedwald, will be the Stomp's m.c. this year.